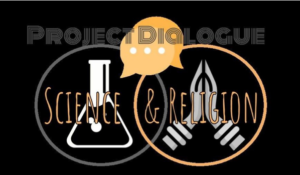 Project Dialogue is a University-wide program that seeks to involve the entire Vanderbilt community in public discourse and reflection connecting classroom learning with larger societal issues. Project Dialogue dinner series give students and faculty an opportunity to engage in conversation on a number of topics around the dinner table over a delicious meal. Speakers and Artists for Project Dialogue have included: Sandra Bernhard, Naomi Wolf, Cornel West, Arthur Schlesinger, Jr., Oliver Sacks, Danny Seo, Mary Lucking-Reiley, Neil Howe, Scott Turow, Adrienne Outlaw, John Douglas, Gore Vidal, Barbara Ehrenreich, Al Franken, John Ashcroft, Archbishop Desmond Tutu and Elie Wiesel. Series in Project Dialogue include: Narrative 4 and “This I Believe. Please see the schedules below. Narrative 4 (Tuesdays from 5 PM – 7 PM at OUCRL, 401 24th Ave. S): The story exchange is a powerful model based on the belief of Narrative 4’s founding authors. They understand that we will see the world, and ourselves, more empathically through the exchange of personal narratives. Today, this belief is supported by the work of neuroscientists, as well as by the experiences of story exchange participants. (https://vimeo.com/245441574 and https://narrative4.com/) The story exchanges on the following dates will be led by a Narrative 4 facilitator. Be brief: Your statement should be about 500 words. That’s about three minutes when read aloud at your natural pace. Be positive: Write about what you do believe, not what you don’t believe. Avoid statements of religious dogma, lecturing, or editorializing. Luke Tang was a well-liked, passionate, and brilliant Harvard sophomore who took his family and friends by surprise when he decided to take his own life. 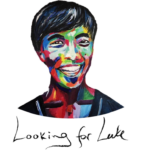 “Looking for Luke” is a short documentary following Luke’s parents, Wendell and Christina, as they attempt to understand why he did this by reading through his journals and talking to his closest friends. As they piece together what happened, they begin to uncover the truth about their son’s death. Luke’s parents have made it their mission to help other parents, particularly Asian parents, identify and understand the signs and signals of depression and other behavioral health disorders that can lead to suicide. The film hopes to extend that mission by raising awareness of depression as an illness, and destigmatizing seeking help for mental health issues. “Looking for Luke” was produced by The Clay Center for Young Healthy Minds at MGH, directed by Eric I. Lu (Harvard College ’09, HMS ’16), and supported in part by a grant from the American Psychiatric Association’s Substance Abuse and Mental Health Services Administration (SAMHSA) Minority Fellowship Grant. 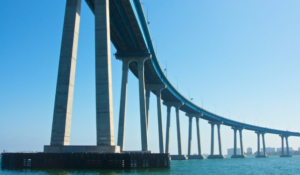 According to the American Psychological Association, Asian American college students have higher rates of suicidal thoughts than their counterparts. What’s more, cultural stigma often prevents students who are struggling from seeking help. This problem is compounded by a lack of awareness and open conversations about mental health within the Asian American community. 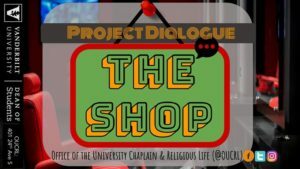 “The Shop” is a unique opportunity for students of color to engage in dialogical exchange of wisdom with pastors, activists, professors, and elders from the greater Nashville community concerning the trending cultural topics that impact the lives of people of color. 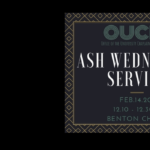 These conversations will focus on the intersections of Black spirituality, faith, and activism and will give students of color the opportunity to explore faith from different perspectives. 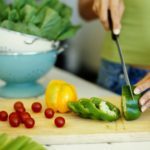 In addition, “the Shop” will offer cultural meals from local restaurants owned by persons of color. Each gathering at “the Shop” features a guest who is able to engage from a pre-selected topic in conjunction with a relevant, trending article from the news and/or social media. 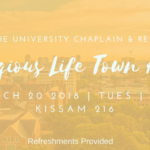 Topics will include (but are not limited to): intersections of gender, race, sexuality, spirituality, mental health, faith, activism, the role of the Black Church, and interfaith dialogue. These conversations will help guests and students engage in the constructive work of developing self-awareness and create meaningful dialogue as to how we live moral, ethical, and spiritual lives in the midst of various lived experiences as people of color.